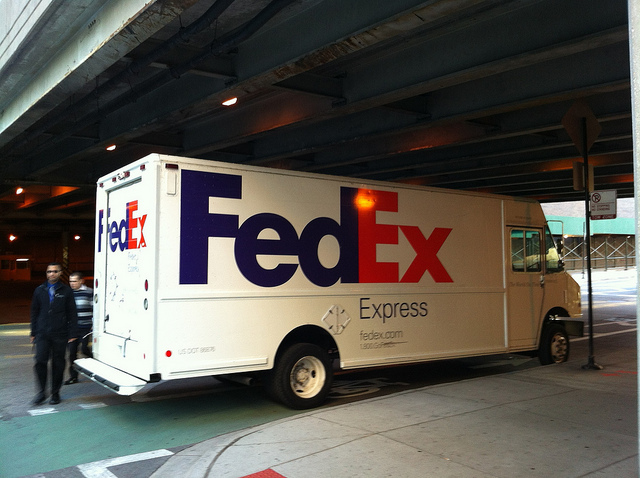 Courier companies have to purchase a large fleet of vehicles if they want to become successful. While one man with a van might be enough for small local jobs, you’re going to need a more significant fleet if you want to win the biggest contracts. Having so many vehicles means that you will need to apply for specialist insurance from one of the UK’s top providers. Thankfully, there are lots of things you can do to reduce the cost of that cover for your business. By following this simple guide, you should have a lot more money knocking around that could be spent on more important matters. Increasing your marketing budget is always a wise move. Some company owners make the mistake of insuring different vehicles with various providers. That is not a good idea if you’re watching the pennies. Insure Fleet and their competitors know that getting cover for individual vehicles can be expensive. So, they offer a service that allows you to get an all round policy that protects every automobile you own. Just make sure you always speak to your insurance company of choice at length before signing on the dotted line. Some of them will offer reduced rates, but the service you receive might be less than adequate. Presuming you have contacted one possible insurer and obtained a quote, you can then use that amount to drive down the deals offered by others. That is one of the best ways to lower the cost of van insurance today. Just remember that you need to follow a basic set of rules to negotiating successfully. We don’t have time to go into everything today, but there are hundreds of free articles available online. Keep searching, and you are sure to find one that contains all the information you require. Most insurance providers will offer a reduced rate if you vehicles are not on the roads at night. That can be an issue for some companies that pledge an around the clock service. However, smaller firms should have no trouble completing their deliveries by 5pm. Another great way of limiting the amount you have to spend is by keeping your vehicles on a locked car park. Adding alarm systems will also reduce your quote in most instances. Getting the best deal possible on courier fleet insurance is not an easy task. However, the tips and tricks listed in our guide today should stand you in good stead. At the end of the day, you just need a policy that will guarantee your company is always acting within the law. The standard fines issues to firms that fail to get appropriate insurance can range into thousands of pounds. Indeed, it is even possible for you to get a criminal conviction if you don’t fully appreciate the seriousness of the issue. Thanks for stopping by this afternoon. Please feel free to take a look around and pick up some more killer tips before you leave. See you next time!